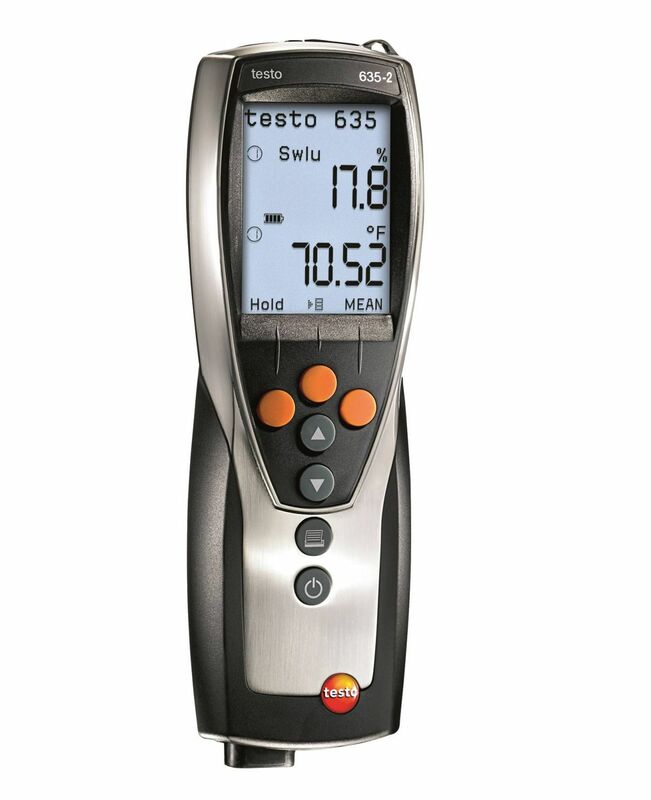 The Testo 616 material moisture meter provides you with a precise and non-destructive means of measuring the moisture content of wood and building materials. 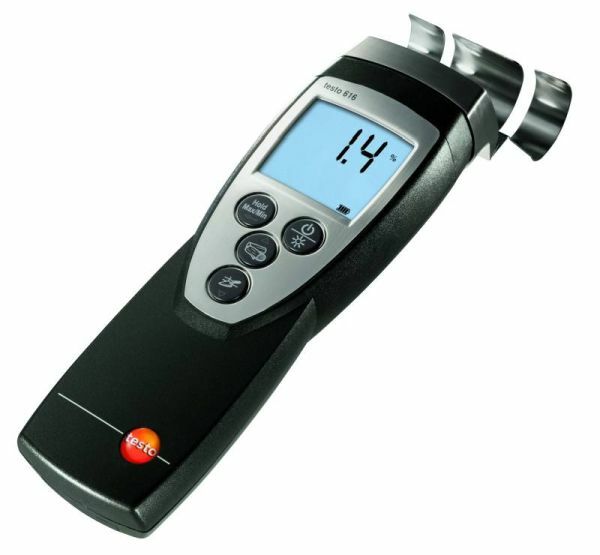 The 616 material moisture meter provides you with a precise and non-destructive means of measuring the moisture content of wood and building materials and of monitoring the drying process after water damage. 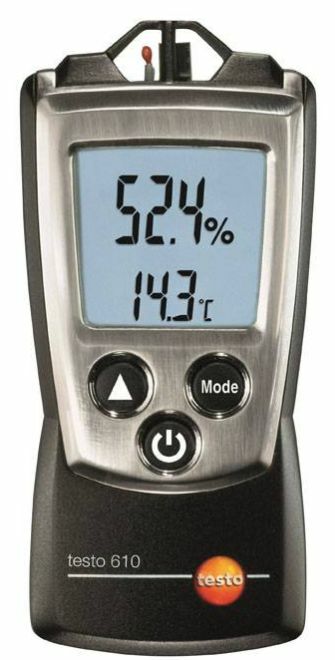 Simply select the characteristic curve and place the meter’s measuring claw against the surface of the material you would like to measure.The meter shows you the moisture content as a weight percentage compared to the dry weight. Press the relevant key to save the reading to your meter. 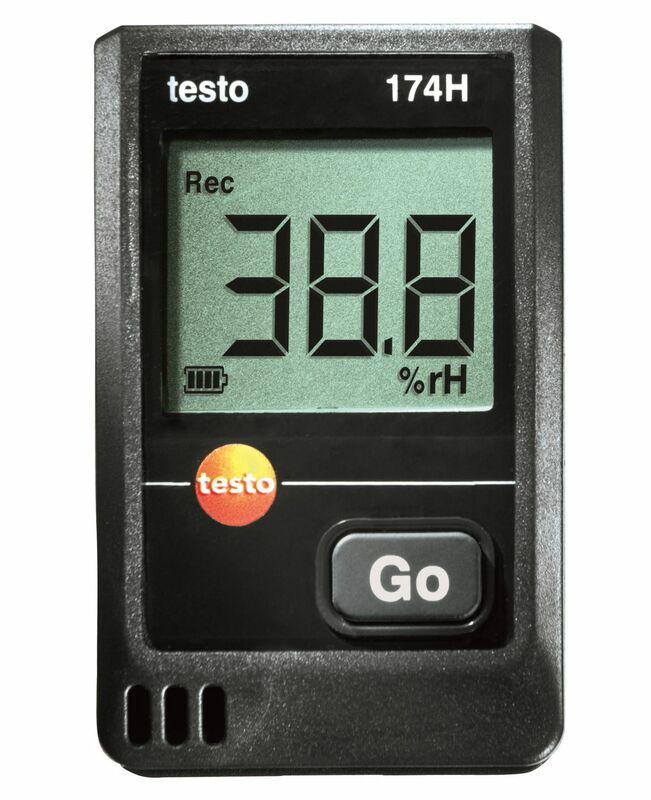 The testo 616 moisture meter is a professional measuring device that can be used in areas as diverse as water damage restoration or carpentry or joinery. 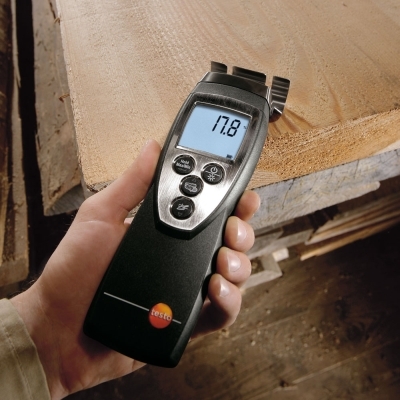 Moisture content is a decisive factor in the further processing and use of timber products. If wood is installed with the wrong moisture content this may result in mechanical deformations (contracting and swelling) at the site where the material is subsequently used, and therefore damage to pieces of furniture or entire supporting structures in buildings. Therefore, before being made into furniture or supporting material by a joiner/carpenter, the suitability of the wood has to be assessed by measuring the moisture content. 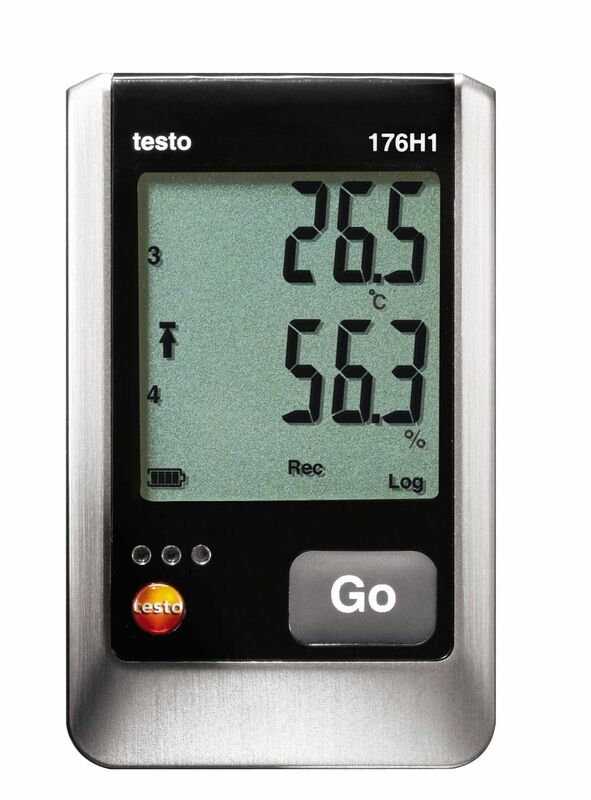 The testo 616 enables the quick and non-destructive examination of the material moisture characteristics in timber. 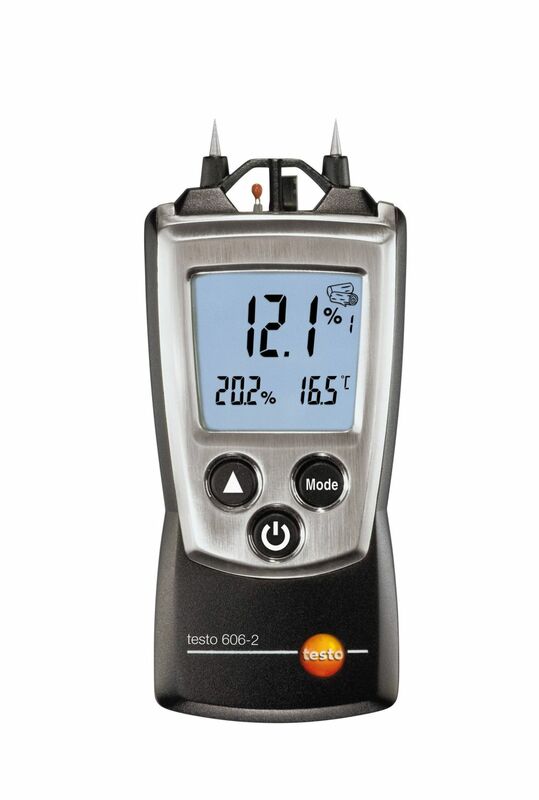 Characteristic curves are available for measuring wood moisture in soft and hard woods, and chipboard. These characteristic curves were developed in cooperation with the LPI institute. 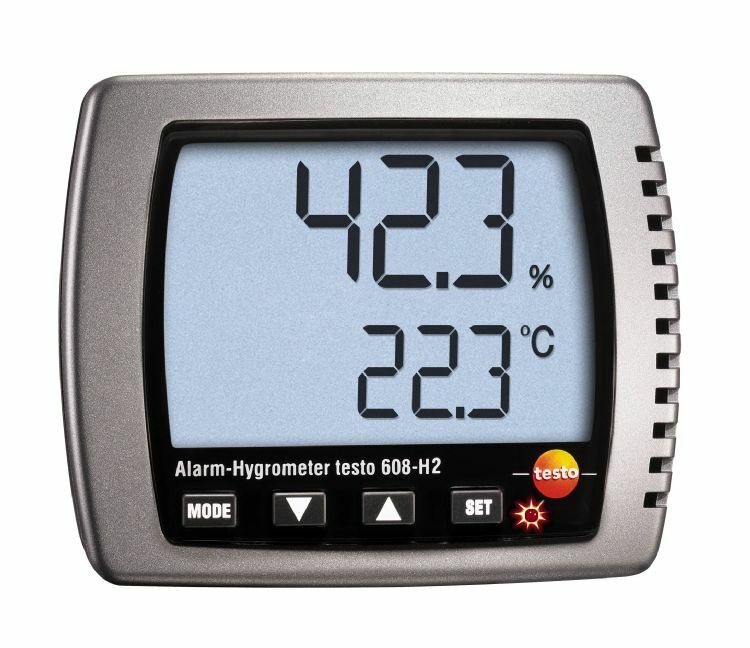 What is the extent of moisture damage? This question has to be answered in order to decide which instruments are to be used to speed up the drying process. 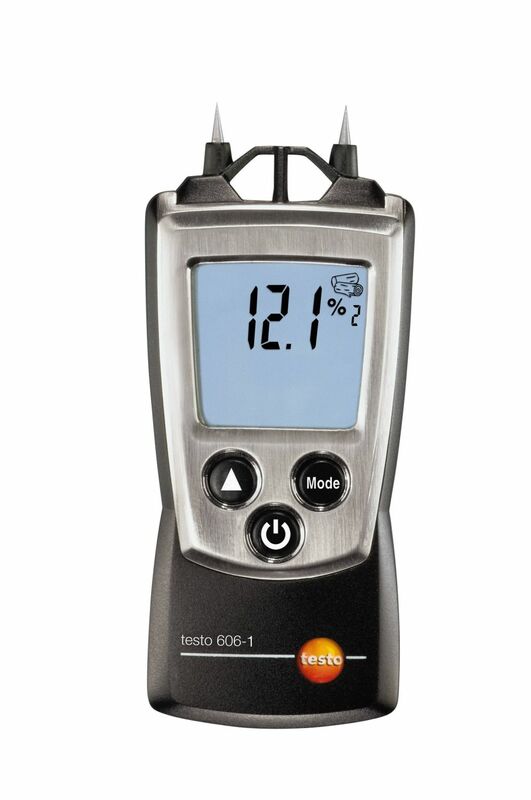 The testo 616 can be used to quickly and non-destructively examine the material moisture in building materials. It also makes work easier when drying processes for floors, walls and surfaces have to be observed. Moisture may penetrate walls, floors and ceilings due to pipes bursting or water ingress. Some of this moisture damage may not be detected immediately. Rising or ingressing water, faulty rain and waste water drains, or even blocked drains and inadequate seepage capacity may be the cause. Depending on where it is getting out or in, the moisture can spread in different ways; enormous damage may be done if discovered too late. Therefore, measurement of the material moisture in the affected places is necessary to be able to identify the source of the damage. 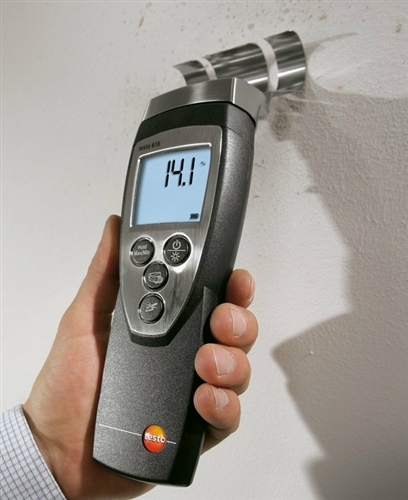 The testo 616 can be used to quickly and non-destructively examine the material moisture in building materials. 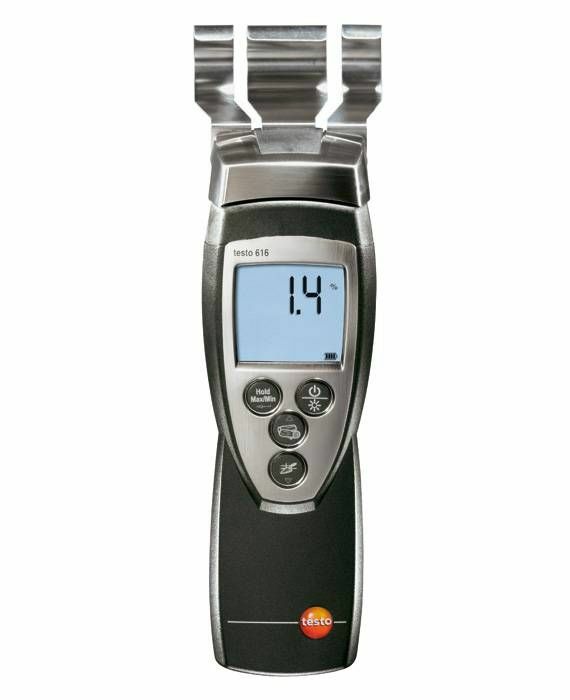 The measuring clamp is laid on the surface; the value can be read immediately. 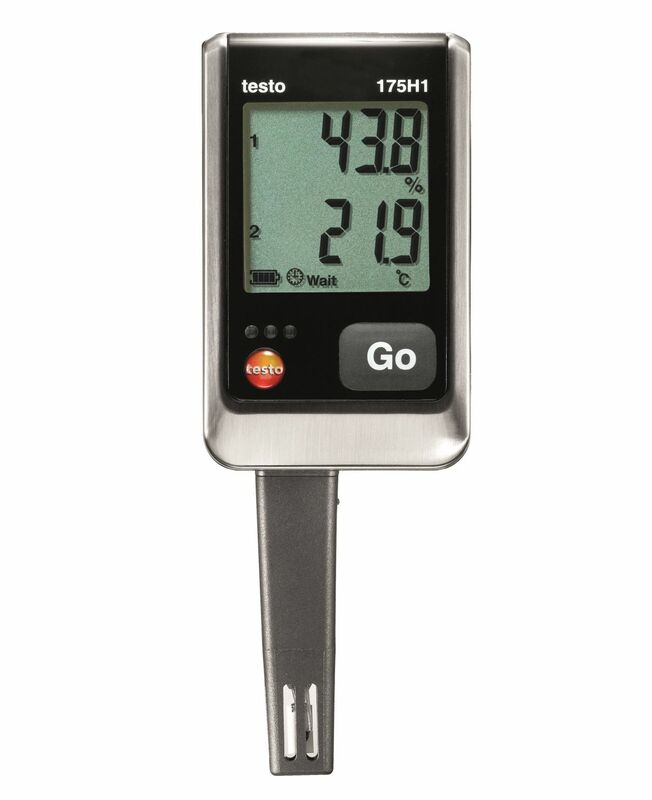 The measurement results are calculated up to a depth of 5 cm and can be recorded at the touch of a button. 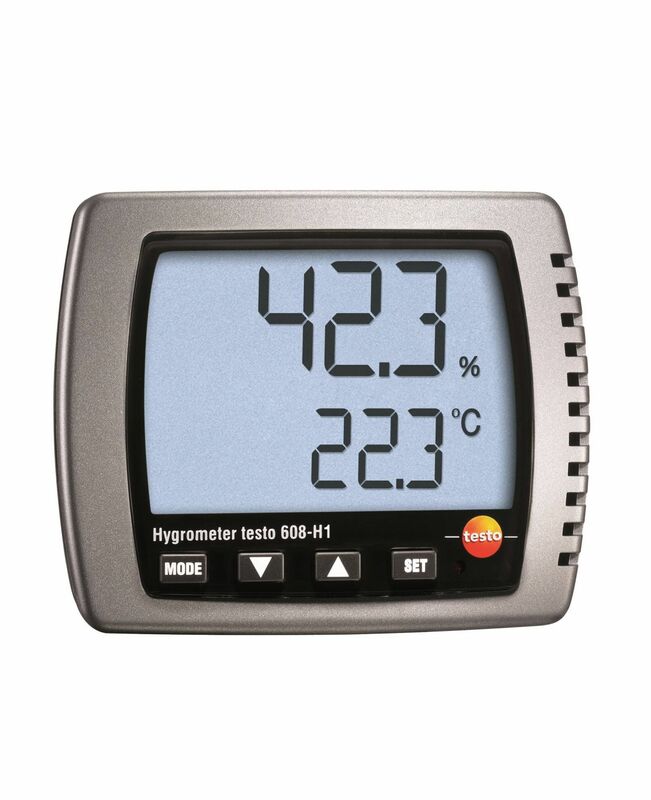 The readings are displayed in percent by weight in comparison to the dry mass of the material. 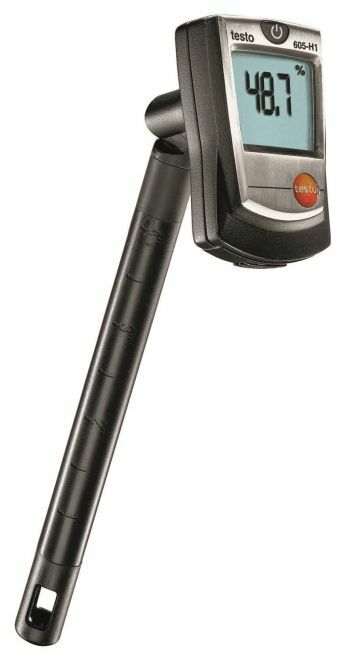 For easy, quick handling, characteristics are already stored in testo 616 for the following construction materials: anhydrite screed, cement screed, lime sand brick, aerated concrete, concrete, vertically perforated brick and solid brick; these aid detection of wet places in the construction materials.